LiveConnections is committed to accessibility and inclusion. 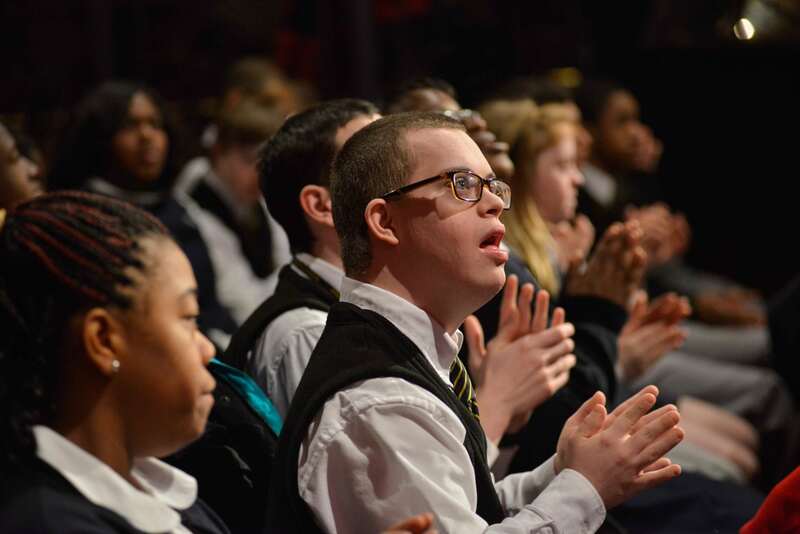 We believe everyone deserves access to great music, and we know that people with disabilities frequently face barriers to participating in the arts. 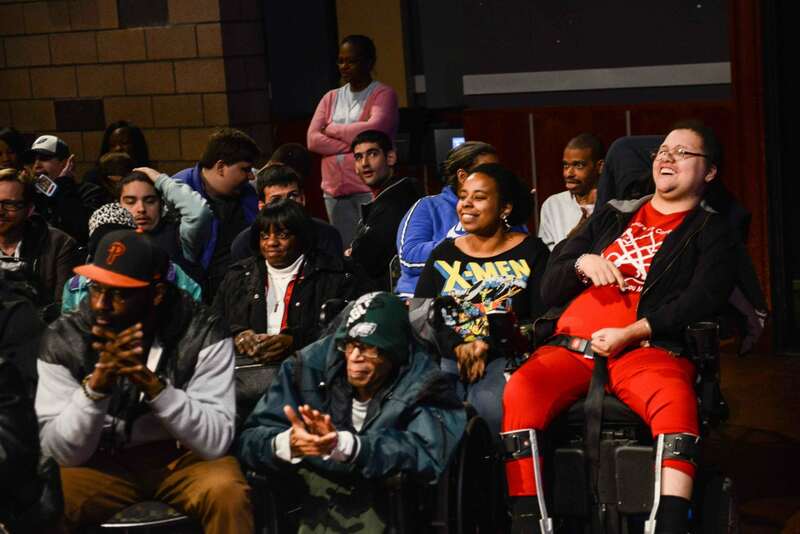 Through our Bridge Sessions and workshops at partner facilities, we seek to create welcoming spaces where people with diverse abilities and needs can be part of making and experiencing music. Art-Reach, Bancroft, Beechwood Neurorehabilitation, Care Pavilion Nursing and Rehabilitation, Comhar, HMS School for Children with Cerebral Palsy, Einstein – LTSR, Elwyn, Germantown Recovery Community, HopeWorx, Inc., Our Lady of Confidence Day School, Overbrook School for the Blind, Programs Employing People, SpArc Services, St. Christopher’s Children’s Hospital, and Warren E. Smith Health Center, among others. 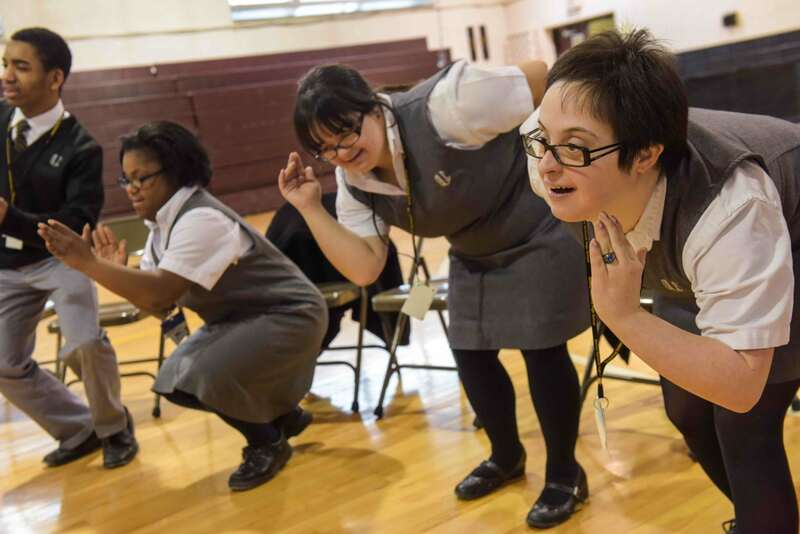 Each year, LiveConnections collaborates with leading arts accessibility organization Art-Reach to present several Bridge Sessions for youth and adults with physical and cognitive disabilities. We also welcome groups from schools and human service organizations to join our sessions for public schools. Bridge Sessions can easily be adapted to the age/level/ability of the groups attending, and we work with teaching artists and venue staff to ensure they’re providing necessary accommodations within the session. World Cafe Live is ADA accessible. There is an elevator that provides access to all levels of the building, and there are accessible restrooms on all floors. Bridge Sessions take place on the floor-level of the downstairs venue, which may be reached by taking the elevator to the lowest level (no stairs) or by entering through the main hall doors and going down a short flight of 5 stairs. We can also arrange entry through a side door on 31st Street directly into the venue; please contact us in advance to coordinate this option. Seating is flexible, and we can easily rearrange chairs to accommodate wheelchairs and mobility aids. Some Bridge Sessions involve movement; our teaching artists model adaptations to movements, and we encourage participants to engage in whatever way is comfortable for them. Our Bridge Sessions are uniquely adaptive and welcoming for participants with intellectual disabilities, traumatic brain injuries, dementia and other cognitive disabilities. Sessions offer opportunities to listen, move, respond to questions, play instruments and engage creatively. Bridge Sessions may contain loud noises (especially in percussion sessions) and moving lights. We keep the house lights up during sessions, so the room is never dark. We understand that some participants may need to move or vocalize, and we do not expect stillness or silence from our audiences. If a participant needs a break from the session, they are welcome to exit to the lobby. We have additional seating available in the balcony, where participants may listen/observe away from the crowd. We will provide a sensory-friendly tent upon advance request. A step-by-step photo guide to Bridge Sessions is available so that participants may prepare in advance for their trip. Our sessions include a mix of live music, talking and audience participation. We will alert the artists to be sure they verbally describe instruments, movements, etc. For some sessions with a lot of movement/dance, audio description may be helpful and is available upon advance request. Bridge Sessions are a feast for the senses, with much to see and feel. All of the music and talking is amplified through World Cafe Live’s sound system. ASL interpretation is available upon advance request. Bridge Sessions are held at World Cafe Live, 3025 Walnut Street, Philadelphia. Schools/organizations are responsible for making their own travel arrangements. Buses should drop off participants at the main entrance to World Cafe Live/WXPN on Walnut Street, where our staff will greet you and bring you into the venue for seating. At the end of the session, buses should pick up participants from the lower-level side entrance on 31st Street (only accessible from Chestnut Street). Participants with wheelchairs or mobility aids may be dropped off and picked up at the lower-level side entrance on 31st Street. Please enter the building through “Donor Alley” (look for the wall of CDs) and wait in the lower-level lobby to be seated. There are 30-minute loading zones at both the main entrance and lower-level side entrance. Please leave the loading zone promptly so that other vehicles may use it. Parking for buses/vans may be available at the lots designated below. Please contact the lots directly for up-to-date information. We are committed to ensuring participants have the best possible experience, and we will gladly work with you to provide reasonable accommodations that align with the nature of the programming. Please contact us at least 2 weeks prior to your Bridge Session. LiveConnections can come to you! 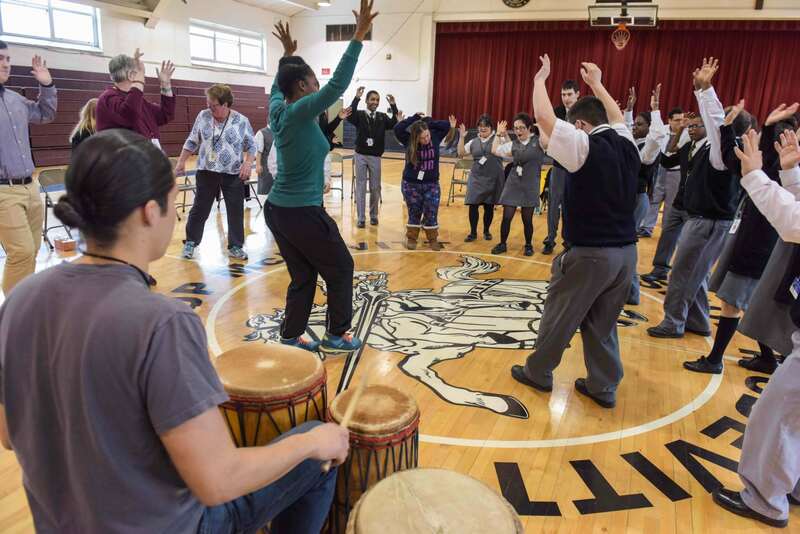 Our teaching artists will visit your facility to provide a 60-minute workshop based on the same principles of Bridge Sessions: diverse music, interactive elements and lots of participation. Please contact us to learn more about pricing and availability.